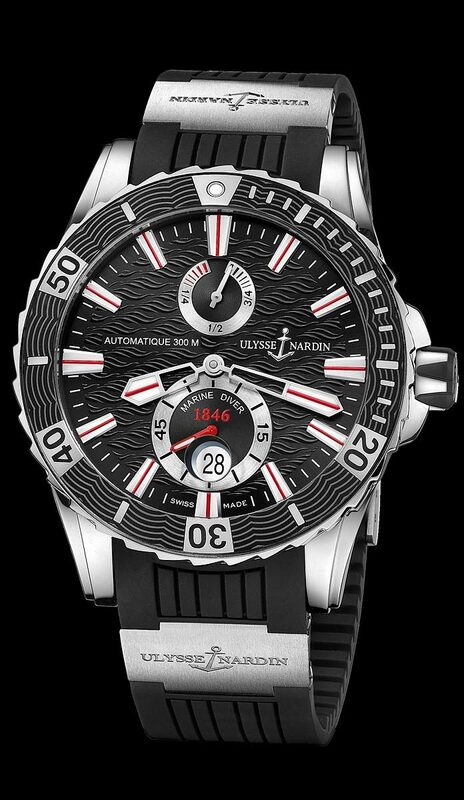 It is a new redesigned 44mm, polished stainless steel case, with a 42 hour power reserve indicator, date, and automatic movement. 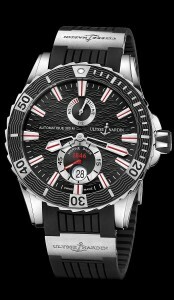 The black dial is etched with images of waves, and the solid stainless steel case back is etched with image of a sail boat and “CONQUER THE OCEAN”. It comes on a rubber strap and folding buckle.